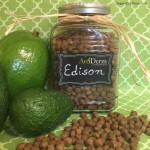 As a blogger, pet parent and veterinary technician with a special interest in healthy nutrition, I have written many times about how important high quality, nutritious ingredients are, the value of novel protein sources and, in my unwavering opinion, the numerous physical, medical and psychological . 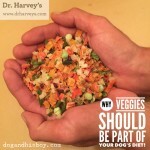 . .
Holistic Nutrition with Dr. Harvey's® Veg-To-Bowl An important change is underfoot in the relationship between pet parents and our 4-legged friends. Humans, as a species, are beginning to truly recognize the importance of the animals in our lives. Many Americans, the majority in . . .